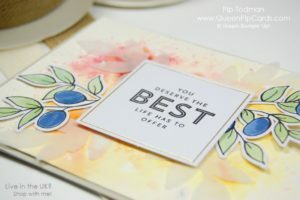 Welcome to your introduction to Brushos and how we used them to up the anti with the Lots of Happy Card Kit from Stampin’ Up! This past weekend we had so much fun at my monthly Technique class. This time I went for an all day event, because playing with Water & Ink requires time. Time for you to use and play with the products and also time for them to dry. We had a packed house and lots of oohs and ahhs when they got to grips with these new products. I have to say Water & Ink is my favourite crafty subject. I could talk all day about it, and I have done so lots of times! 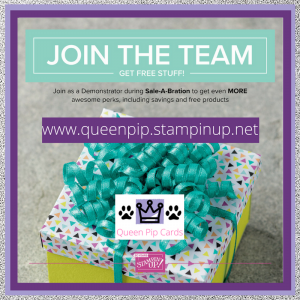 I spoke at Stampin’ Up! Convention on the subject back in 2015 and since then it’s become my area of expertise. So when Brushos came out from Stampin’ Up! I knew I had to show people how to use them. So what are Brushos? Well their full name is Brusho Colour Crystals, but everyone just calls them Brushos! They are Watercolour ink crystals, so pigment in it’s truest form. This means they produce deep, strong and vibrant colours. Not only that, the way they interact with water on different paper surfaces is spectacular. First off, spritz some water onto watercolour paper & watch the colours burst over the water and soak into the paper. No two times will be the same, that’s the great thing about them and also the frustrating thing about them. You simply cannot recreate or make multiples of exactly the same effect. You can use them on all paper types and glossy is pretty cool but very runny, so go sparingly with the water. I’ll be back later in the week to tell you more about how to use them, but for today I am setting out the basics. Gloves if you don’t like getting messy hands – these are very messy! 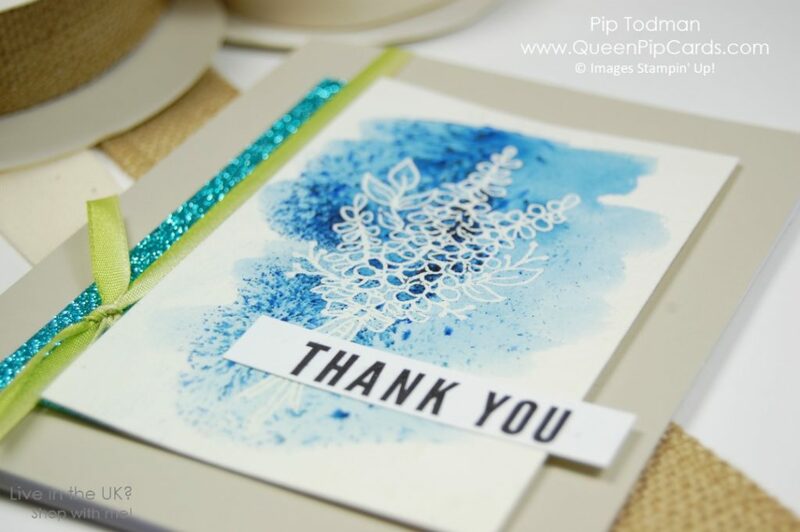 An Introduction to Brushos Colours by Stampin’ Up! You get 5 pots, 1 each of 5 colours: Brilliant Red, Gamboge (orange), Moss Green, Prussian Blue, Yellow. Now while these don’t sound like typical Stampin’ Up! colours, they are the base in a lot of our colours. I’ve matched Daffodil Delight, Real Red, Tranquil Tide, Lemon Lime Twist, Old Olive, Pumpkin Pie to name a few and I’ve not really gotten started! You can make basically any colour you want by mixing these in different quantities and seeing what you get. The funky thing is that the Moss Green powder comes with 3 colours in it already – yellow, green and purple! Which sounds weird, but it looks fantastic when you use it. The last piece of advice is this – never take off the lid from the pot! These powders are powerful and really could cause an awful mess. Plus you don’t need a lot of them – just poke a hole in the top of the pot lid with your Piece Tool. Then use a dress making pin to close the hole for transporting and storage. Just tap out the powder, a little goes a very, very long way! I hope that the cards shown here has sparked your interest and you now know a little bit more following my introduction to Brushos. If you want to try these at home, I recommend you purchase the items below as your “starter brushos kit”. 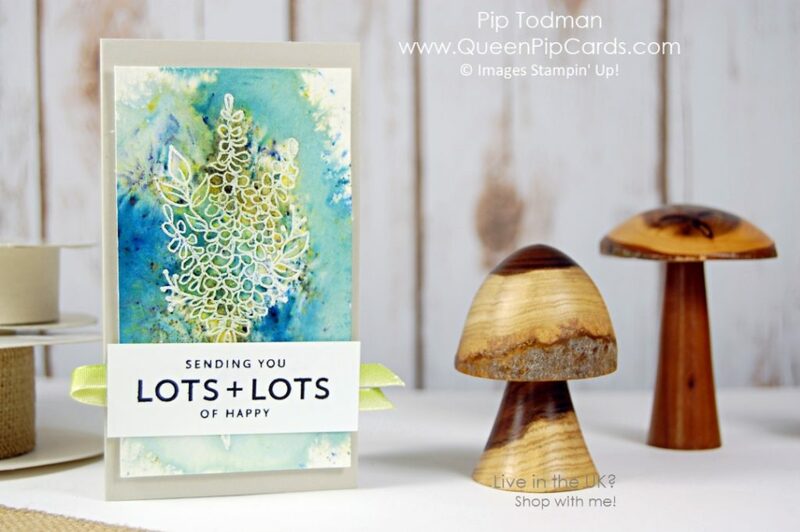 Have fun and don’t forget to share your creations with us in my customer Facebook Group – Queen Pip Card’s Crafty Corner. 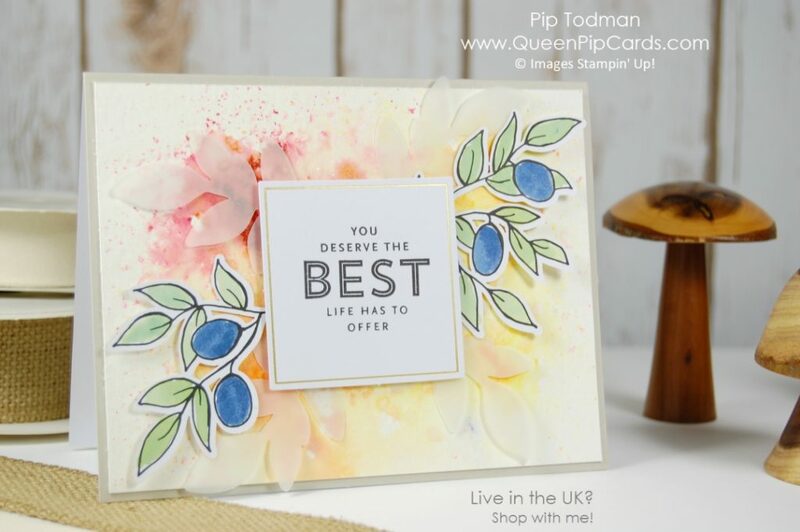 Don’t forget all orders of £25 (and every £25 thereafter) will get a free entry into my drawing for 2 spectacular prizes, including the Many Marvellous Markers set! See all terms & conditions here. 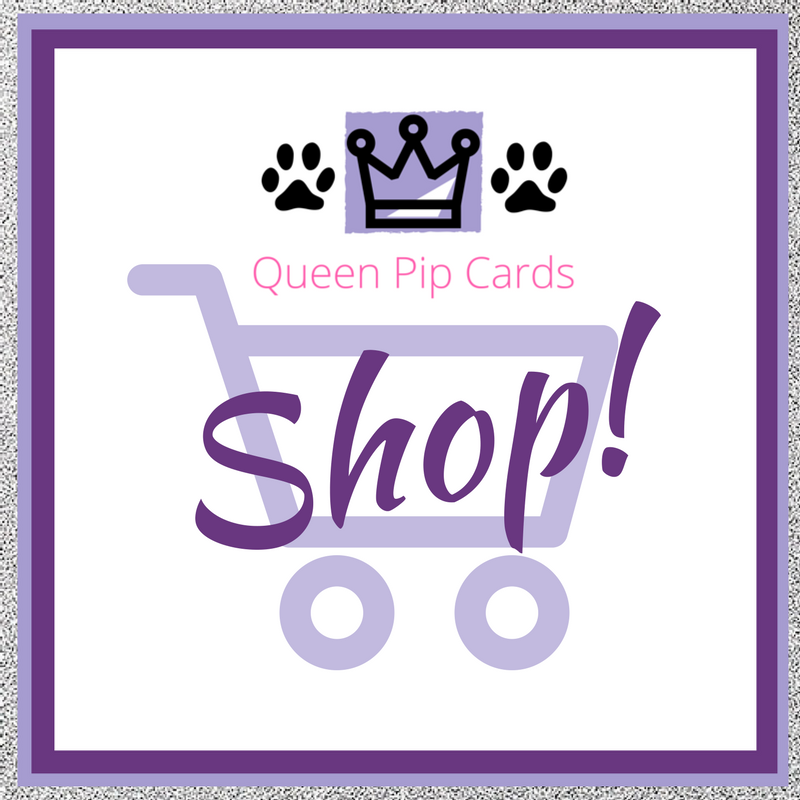 Buy your products today and get your entries in! !